How do you spend your free time? Traveling and getting together with friends and family and play games. Fun Fact: A broken clock is right two times every day. Best moment at Innovative Dental: When Dr. Olson gave me a mirror to see my finished, beautiful teeth. How has your new smile impacted your life? I’m a very happy person, but because of my smile, I always had to smile with my mouth closed. Well, not anymore! My smile gave me confidence and makes me feel beautiful thanks to Dr. Olson and his wonderful staff at Innovative Dental! I can smile and laugh without hiding my teeth. My friends even smile more now when they see my big smile! When Gratziana Brandusa was still in highschool, she left the only home she had ever known in Bucharest, Romania, to come to America with her family. After eight years of waiting and constant paperwork, the day finally came they received a letter letting them know a church in America was going to sponsor their family’s relocation. They settled in Sacramento, California and remained there for the next 20 years, where Gratziana became a mother of three. When her brother and sister decided to move to Missouri, she followed suit and moved into a house on the same street. With her life more settled and her children almost grown, Gratziana began shifting focus from raising children, to taking care of herself finally. Gratziana’s front left lateral tooth never formed or grew in, and throughout her life, she hid her smile to hide the gap. “Coming from a communist country, yeah you have free dental, but it’s free because they’ll just pull out your tooth,” explains Gratziana. “I was always a happy person, but a happy person with my mouth closed,” Gratziana laughs. 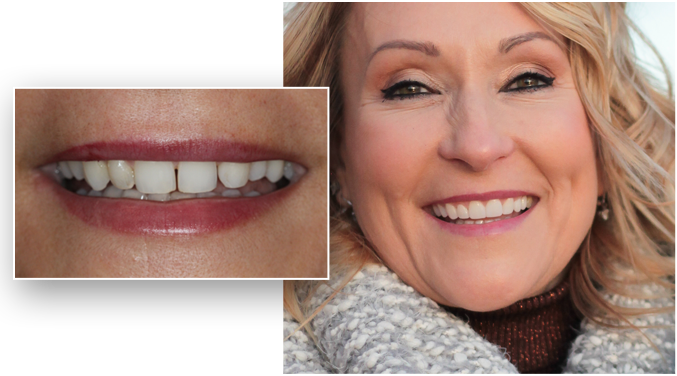 Last year Gratziana decided it was finally time to transform her relationship with her smile. Gratziana did her share of research before selecting a dentist to transform her smile; she visited two other dental offices in the area. The first two dentists recommended using Invisalign to widen the gap in the front of her smile to make more space to place a dental implant. Now I can smile with confidence, and I can’t stop smiling! Innovative gave me the confidence and gave me a great smile. Gratziana continued to research, and learned Innovative Dental was the only VIP Platinum Invisalign provider in the area, so she decided to come for a complimentary smile consult. 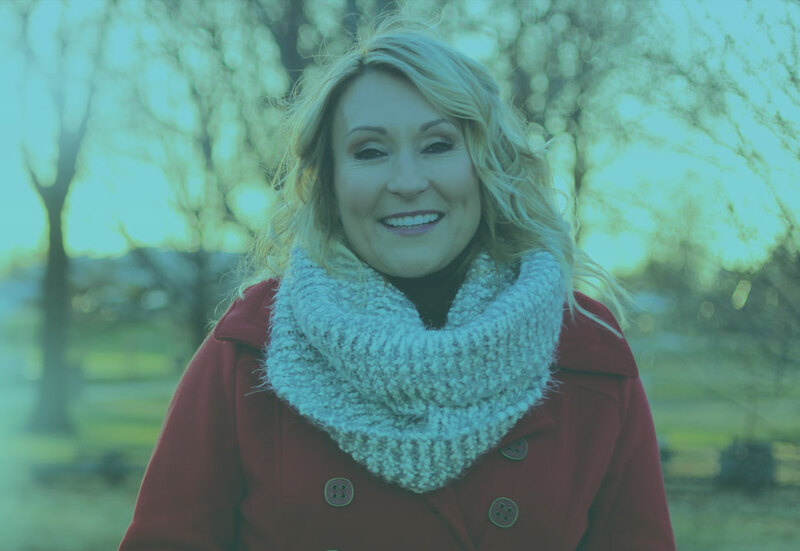 Dr. Grant Olson proposed an alternative solution, using Accelerated Invisalign to close the gap, then reshape her natural teeth to look like a new canine and lateral, saving her thousands of dollars on a dental implant. Gratziana already needed an implant solution for one of her molars, and Dr. Olson knew he could save her money and time by innovating her Invisalign treatment plan. With her mother’s passing, Gratziana realized that her happiness and confidence were only up to her, and it was now or never for the smile she had always wanted. “Just because you’re over 40, you still have 30 or 40 years, who knows!” Gratziana points out. She returned to Dr. Olson to finish her smile transformation. He created a plan for her to complete her treatment in just one single visit. Now Gratziana smiles freely and feels it was the right investment for her. With her smile and life coming full circle, Gratziana reflects on the person who inspired her and fought to give her the best opportunities in life. Sharing her smile with others has been one of Gratziana’s favorite things about her innovative smile, and she tells everyone she knows how it has touched her life and improved her self-confidence.